Gibson’s Skills-House is the song/skill-based guitar instruction area inside Gibson.com. 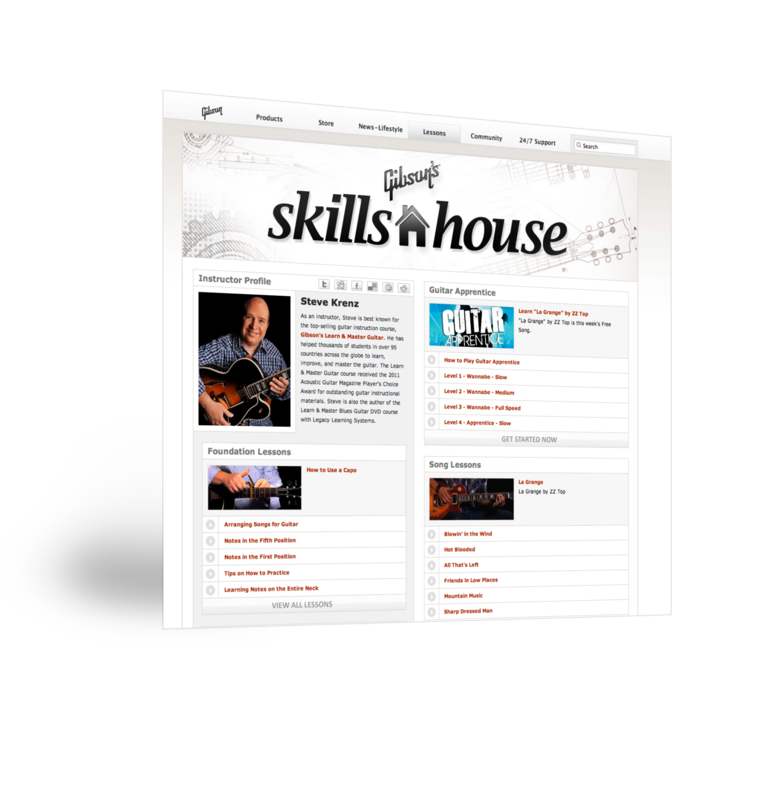 Every week, 2 new song lessons are produced and posted inside Skills-House for site visitors to use. A new sample song is also posted inside the Guitar Apprentice section of Skills-House every week.